Just as Naples is a favorite among boating enthusiasts, so too is it a favorite with golfers. In fact, the lure of tropical vistas and fine weather while enjoying a round at one of a number of expertly designed courses, makes Naples hard to resist. 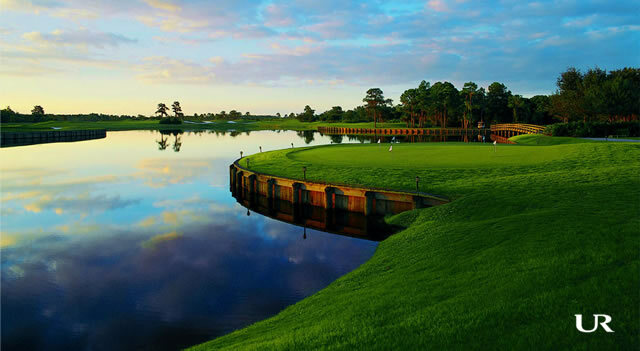 Of course, golfers love to be close to where the action is, and the selection Naples area golf condos means the journey to the tee is never far. Perhaps Myrtle Beach has a few more golf courses than Naples, but when it comes to quality, we win. Naples is the real golf capital of the world. Our 100+ courses have raised the bar when it comes to the golf experience. From Fiddler's Creek to Tiburon and beyond, the Naples area golf courses are beyond works of art. They are landscaping masterpieces of challenging design. Only a few miles to the northeast of the island are a plethora of courses located in close proximity to each other. A virtual golfer’s paradise, they also boast some of the most stunning Marco Island area golf condos on the market, offering residents not just easy access to world-class courses, but to the lifestyle that comes with it. Among the favorites, are the Hammock Bay Golf & Country Club and Rookery at Marco, both of which are affiliated with the Marriott Hotel chain and have been superbly designed to satisfy the expectations of the most discerning golfer. Hammock Bay, which also boasts an executive airport close by, has 3 luxury towers – the Lesina, Serano and Aversana – as well as a selection of fine golf condos in low-rise or 2-story buildings along Borghese Lane, Rialto Way and the Fairways, along Marco Shore and Mainsail. The Rookery at Marco is a pristine golf course designed by the much acclaimed Robert Cupp Jr. Nestled in the middle of shallow wetlands it boasts a myriad of bird life, including bald eagles, herons and other water birds. It is also surrounded by some of the finest Marco Island area golf condos on the market. From 3,000 sq ft luxury golf condos at Menaggio or Cascada to more affordable 1,500 sq ft condos on Whisper Terrace, buying a golf condo at one of the many developments along Fiddlers Creek places you close to the action. Whether you want to reside on Marco Island itself or further inland, there is a wide selection of high-quality Marco Island area golf condos to be found. All you need to do, is choose the one closest to your favorite course, then look forward to teeing off every day, just a few minutes from the comfort of your new home.